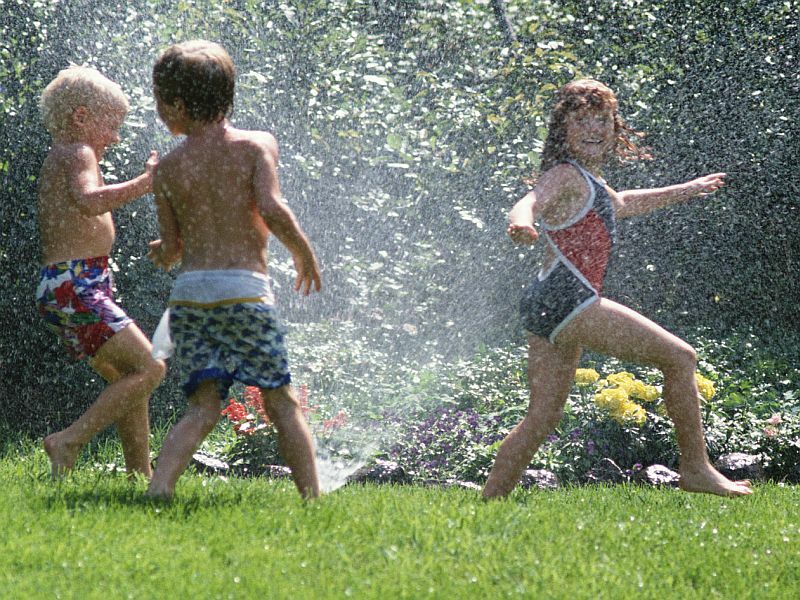 SATURDAY, July 30, 2016 (HealthDay News) -- Kids love the unstructured days of summer, but parents need to be sure children get moving during their summer holidays, a physical education expert says. "I always encourage students to keep active in the summer," Martin Wurmlinger, a physical education teacher at a Los Angeles middle school, said in a news release from the University of California, Los Angeles. "I stress just getting out and finding an activity that keeps them moving and raises heart rate levels," said Wurmlinger. He's affiliated with UCLA's Sound Body Sound Mind, an organization that fights childhood obesity and helps students develop healthy fitness habits. Wurmlinger recommends some specific, structured activities, such as creating a circuit program that covers all five areas of fitness: heart endurance, muscle strength, muscle endurance, body composition and flexibility. The circuit could include a set of pushups, an abdominal exercise, jumping jacks or high knees, squats or lunges, and a stretch. "Time yourself and see how many times you can complete the cycle in 6 to 10 minutes," Wurmlinger said. Another option is to try burpees, a full-body exercise used for strength training and aerobic conditioning. Start in standing position, then drop to a squat with your hands on the ground; kick back your feet to a plank position; return to a squat; and jump from the squat position. Or if you have access to a pool, swim two laps at full speed, then rest 30 seconds. Repeat 10 times, he suggested. Make sure children go outside and play instead of spending too much time in front of a TV or computer. Exercise videos can be useful if it's too hot outside, or children can wait until it cools off in the evening. "I encourage students to do physical fitness activities with friends or family. That's usually more fun and a great motivator," Wurmlinger said. And, try to make a fun game of it. For example, give kids a pedometer and then suggest a trip across America or around the world. At the end of the day, figure out on a map how far your child has gone and keep track of each day's distance. Set a goal and schedule a small reward for when your child reaches that goal, Wurmlinger said.